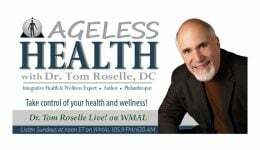 Podcast Archive - Page 5 of 36 - Dr. Tom Roselle Live! Tech Neck: Surviving the Computer Age (Neck & Shoulder Pain) Listen to Dr. Tom Roselle, DC and Dr. Scott Lamp, DC, CCSP discuss “tech neck.” Teck neck is a general term for neck pain caused by technology use. Prostate, Tissue Nano-transfection, Fasting & Stem Cell Regeneration Listen to Dr. Tom Roselle, DC discuss the prostate, tissue nano-transfection, fasting & stem cell regeneration and more. The Side Effects of the HPV Vaccine Listen to Dr. Tom Roselle, DC discuss the extraordinary side effects of the HPV vaccine (known as Gardasil, Gardasil 9, and Cervarix.) There is supporting evidence that the HPV vaccine can cause physical, autonomic, degenerative and neurological damage to the body.